I was not blessed with curly hair or straight hair, mine is in between, kind of confused lol. It has some wave to it but not where I would like it to be or where it would look pretty so as many women do I have to depend on straighteners or curling irons for my hair to look nice. When I was given the opportunity to try EV Beauty Curling Wand & EV Beauty Hair Straightener I was really excited. These are both very good styling tools. 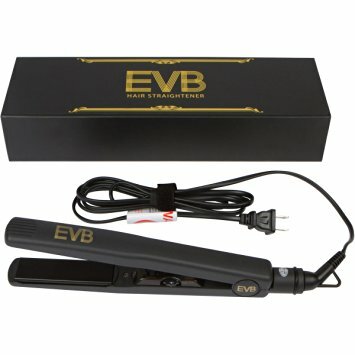 EV Beauty Hair Straightener heats up fast, up to 450* F in under a minute without cool spots. It has 1" ceramic-tourmaline plates that are the perfect size for all hair types and allow you to get right down to the roots safely and also slim enough for your bangs and tight curls without damaging delicate hair follicles. I really had good results, it didn't take many passes for my hair to look silky soft and nice and straight. 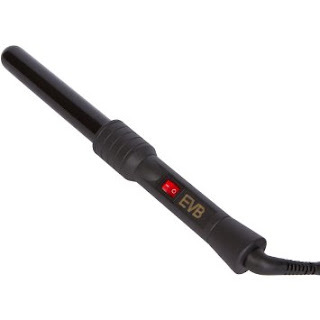 EV Beauty Curling Wand also heats quickly and is also made with ceramic tourmaline on the wand. It is clipless so it gives you smooth beautiful curls everytime you use it. It fits nicely in my hand and is very comfortable to use. The results amazed me. My hair isn't very thick and holds curl pretty well, but I was really pleasantly surprised at how well this wand made my hair curl. No matter what look I want for my hair I will be using these hair styling tools. I am really impressed!